US/Washington: K2D Foods, doing business as Colorado Premium Foods, a Carrolton, Georgia establishment, recalls an estimated 113,424 pounds of Raw Ground Beef Puck products due to suspected risk of Escherichia coli (“E.coli”) O103 contamination and consequential risk of Gram-negative bacterial infection, severe illness and/or possible life-changing complications, all serious health hazards. Canada/Ottawa: Kind Organics Inc., a Brantford, Ontario establishment, recalls certain batch/lots of Kind Organics branded Alfalfa and Broccoli Brassica due to suspected Escherichia coli (“E.coli”) contamination and consequential risk of Gram-negative bacterial infection, severe illness and/or possible life-changing complications, all serious health hazards. Australia/Canberra: Schulz Organic Farms Pty. 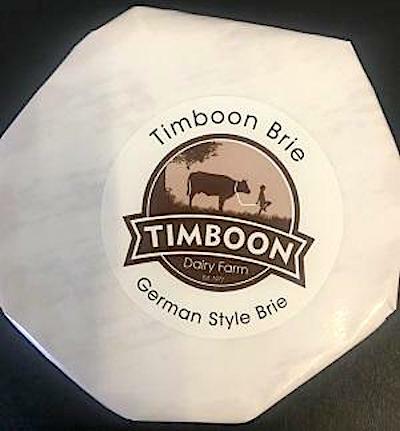 Ltd. trading as Timboon Dairy/Timboon Cheesery, a Timboon Victoria establishment, recalls certain batch/lots of Timboon Dairy Farm Brie Cheese due to suspected Escherichia coli (“E.coli”) contamination and consequential risk of Gram-negative bacterial infection, severe illness and/or possible life-changing complications, all serious health hazards. US/Atlanta: The US Centers for Disease Control and Prevention (“CDC”), an Atlanta, Georgia based health promotion and disease prevention authority, updates its investigation notice concerning the Shiga toxin-producing Escherichia coli (“E. coli”) O103 outbreak that has sickened at least 109 people from five (5) US states. The Centers for Disease Control and Prevention (“CDC”) reports this Shiga toxin-producing E. coli O103 outbreak has caused at least 109 people to become sickened and ill.
US/Atlanta: The US Centers for Disease Control and Prevention (“CDC”), an Atlanta, Georgia based health promotion and disease prevention authority, issues an investigation notice concerning the Shiga toxin-producing Escherichia coli (“E. coli”) O103 outbreak that has sickened at least 96 people from five (5) US states. The Centers for Disease Control and Prevention (“CDC”) reports this Shiga toxin-producing E. coli O103 outbreak has caused at least 96 people to become sickened and ill.
Canada/Ottawa: DOM International Limited, a Toronto, Ontario establishment, recalls certain batch/lots of Michael Kelly branded Gigas Oysters due to suspected Escherichia coli (“E.coli”) contamination and consequential risk of Gram-negative bacterial infection, severe illness and/or possible life-changing complications, all serious health hazards. 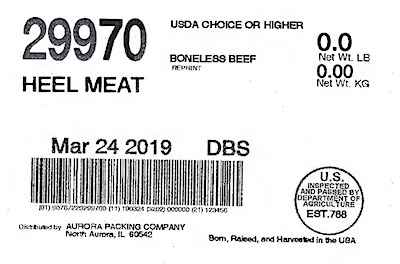 US/Washington: Aurora Packing Company, Inc., a North Aurora, Illinois establishment, recalls an estimated 4,838 pounds of Beef Heel and Chuck Tender products due to suspected risk of Escherichia coli (“E.coli”) E. coli O157:H7 contamination and consequential risk of Gram-negative bacterial infection, all serious health hazards.